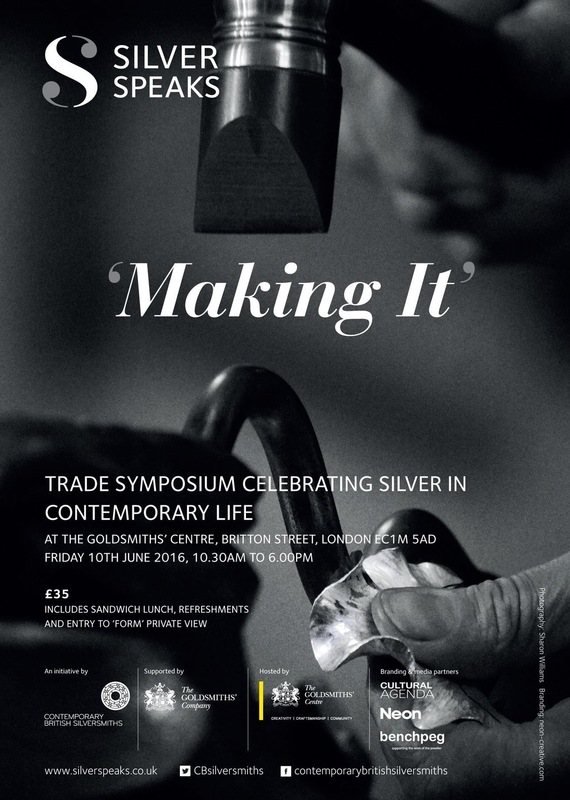 Contemporary British Silversmiths is hosting a one day trade symposium at the Goldsmiths’ Centre to celebrate our craft. Silver Speaks: ‘Making It’ is a one day trade symposium and networking event to complement Contemporary British Silversmiths’ exciting year of events celebrating silver in contemporary life and supported by the Goldsmiths’ Company. Held at the Goldsmiths’ Centre in London, the day is designed to uplift, inspire, debate and encourage collaboration while providing an opportunity for all those interested in this unique craft to meet one another, learn, discuss, share and collaborate. Price of ticket includes sandwich lunch and all refreshments. A drinks reception will follow the event with an opportunity to view the Silver Speaks: ‘Form’ exhibition in the Goldsmiths’ Centre atrium.